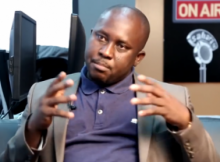 Pius Adesanmi wrote an interesting post on Facebook in response to a note by Kelechi Deca about lack of utilization of other ports in the country outside of Lagos. In his response, Pius points out the singular obsession of the northern elite to find oil, which in his opinion will then mean the end of Nigeria. Kelechi, there are some dynamics you have overlooked in terms of why the brilliant proposition you espouse here is a non-starter. At least not in this current phase of project nationhood in which to dare to imagine and discourse Nigeria on loftier and multidimensional planes must first pass a number of smell tests relating to the persona of the President. Once the quality of your Sai Babarity is deemed suspect, insufficient, or non-existent, your intervention is out of the window. I would have written about and flagged Baru Maikanti for public debate recently but I passed after determining that what is at stake requires vigorous modes of engagement beyond the trivializations of those who would reduce everything to whether you trust Baba or you don’t trust Baba. Once you trust Baba, Nigeria is fine and every other proposition can go to hell. Once we get past this stage of the banalization of our national psyche, we may be able to safely and vigorously discuss the connections between Baru Maikanti, the Federal Government, and your suggestions above. For now, though, I fear that we are regressing. I thought we were at the nadir of promiscuous investment in the persona of the President with the TANmites and GEJ. I was wrong. There is no name in any current political lexicon for what is currently going on in the ranks of many Buharists who condemned other people for worshiping GEJ. That is why I hesitate to get into Maikanti and the vision he represents for the Federal Government on behalf of President Buhari. But I will do it sha since your points must be addressed. A significant national moment happened recently when Baru Maikanti, Group Managing Director of NNPC, paid a courtesy visit to Governor Tambuwal of Sokoto state. Luckily for Maikanti and Tambuwal, that visit and what they had to say were completely overshadowed in the national public sphere when pythons and crocodiles escaped the swamps and filled the streets of Umuahia. Yet, what Maikanti had to say in Sokoto is indicative not just of the singular priority of the Federal Government but of a certain lazy and insipid tunnel vision within the commanding heights of the political elite of the North (the North writ large) and why the Federal Government they are running has trouble growing and maturing intellectually to cope with the multidimensionality of the 21st century and the future. What Maikanti had to say in Sokoto explains why there will be no 21st century approaches to diversifying Nigeria’s port capacity beyond Lagos. Kelechi, that is simply not a priority and here is why. Maikanti happily went to notify Tambuwal in Sokoto that after the disaster encountered by the team commissioned to prospect for oil in Borno state (my man, Moses Ochonu, brilliantly weighed in on that tragedy), the NNPC has now commissioned a new set of experts and University lecturers to aggressively resume oil prospecting in Sokoto state. In other words, if Boko Haram says we cannot find oil in Borno, we will move to Sokoto. If they tackle us in Sokoto, we shift to Katsina or Jigawa. There shall be no rest or any other preoccupation for the Federal Government until we find crude oil in the North. I am just trying to paraphrase Maikanti. You need to google what Maikanti had to say and do a discourse analysis of his syntax. Although finding oil in the north has been a long-term obsession of the northern political establishment, Maikanti’s Sokoto declaration is the most galling expression of it yet as the singular obsession and priority of the Federal Government he was speaking for. There was this eerie finality to his tone. I studied it and nearly said RIP to Nigeria insofar as she is hostage to this level of reductionist thinking by those running her Federal government. Forget the humanitarian indecency of the Federal Government – the University of Maiduguri lecturers she sent to prospect for oil in Borno are still Boko Haram hostages and they have done nothing about it. And here was Maikanti moving on casually to Sokoto. Kelechi, you know that I have been on the theme of oil in the north for a little over a decade now. In fact, in my NEXT234 column back in the day, I did a series entitled, “Warning to the Northern Elite”. There is also a chapter in my book, “You’re Not a Country, Africa”, in which I return to the question of the northern elite’s obsession with finding oil in the North. In private conversations with members of the Northern political establishment that I know, I have also been warning them about this obsession. I have been warning the northern establishment about her unhealthy obsession with oil for more than a decade. If all the Arab oil states in the Gulf are in a race for life after oil and all their 30-year strategic development plans are hinged on the empirical knowledge that oil is on its way out, if the nations of Western Europe, the United States, China, Canada, Japan, Australia, etc, have gba kamu about the end of oil and are investing all their society has to offer in innovation, genius, and imagination to life after oil, how do you explain or account for this foolish political establishment that thinks salvation in the next 30 years lies in finding oil in Borno and Sokoto? What is wrong with these foolish politicians? At some point, when the silly Asari Dokubo was disturbing the sleep of Nigeria, constantly bragging about their oil in the south-south and how the North was a parasite, I wrote and told him to shut the heck up. I told him that the Niger Delta is an endangered species because oil is on her way out of civilization. On the contrary, the North of Nigeria is the future of civilization because there can never be a post-tomato or a post-onion future of humanity. Agriculture is the future. I have been warning these oil-obsessed northern leaders to rise up to the potential of the north to feed the whole of Africa and a significant part of the world. Raise the agricultural base of the North to the global 21st-century standards we have here in North America and see Nigeria transformed. But no, they want oil. Kelechi, a man who wants oil in Borno and Sokoto does not need to invest in ports in Warri, Calabar, and Port Harcourt. He does not even need to do anything beyond cosmetic fixes to the capacity of the Port in Lagos. In fact, he doesn’t even really need to dredge any yeye River Niger in Lokoja (sorry o, Petra). His thinking does not need to rise beyond the level of how to sign agreements with Shell and Exxon-Mobile to build pipelines from Sokoto and Borno to Kaduna where the oil will be refined and ferried by Dangote’s trailers to other parts of the North. These are the issues, Kelechi. Let’s see if we can trash them out without trivializers saying you guys are reasoning like this because you don’t like Baba and his government. That is why I even kept quiet about Maikanti when he went to Sokoto sef.